I am planning my annual Stratford, Ontario theater experience and this summer it has gotten out of hand with the addition of a side trip to Toronto to see Lord of the Rings: The Musical plus a trip to the Shaw Festival and Niagara Falls and Niagara on the Lake. I'm pretty confident in the Stratford part of the program after seven years and eight trips -- just point me toward Boomers and the Church and I'm happy. I haven't been to Toronto since 1999 and I don't recall any amazing food then. I think we'll be there for 1 dinner and 1 brunch. We might have an early dinner after the theater so possibly 2 dinners. I would think dinner would be better in town than on the QEW heading back to Niagara. Niagara Falls and/or Niagara on the Lake: Looks likes we'll be there for 2 breakfasts, 1 lunch and one dinner. The theater is in NOTL but we will be staying at the Falls (Canadian side). For Toronto, I was toying with the idea of Canoe for lunch or dinner but the prices are frightfully high. I don't mind paying a lot for a terrific meal though and can budget the rest of the trip around it if I plan far enough in advance. Goldfish Cuisine looks interesting for brunch or dinner. For the Niagara area, I'm wide open. I've had a decent lunch somewhere in NOTL that wasn't memorable. There is a nice ice cream place that I routinely get lost looking for and lots and lots of chains. We haven't been to Canoe in two years, but my recollection is that, while pricey, it was an excellent meal, with top-flight ingredients creatively prepared and served in comfortable surroundings, and we considered it worth the tab. Great view if you luck out on the weather, too! Although not extraordinarily creative, we have always had good meals in Niagara on the Lake at the conveniently located Prince of Wales Hotel. In the past few years, several of the NOTL wineries have added restaurants to their properties, but we haven't tried them yet. I've stayed at the Prince of Wales and had several dinners at Canoe which is a very good Italian in Toronto. For Niagara on the Lake your first choice for a hotel really should be the Prince of Wales. While totally different this is to Niagara on the Lake as the Williamsburg Inn is to Williamsburg: i.e., THE place to stay. Toronto: In my opinion the best restaurant in Toronto and one of the three or four best restaurants in Canada (along with Eiginsinn Farm (!!!! ), Susur Lee and Lumiere in Vancouver) is North 44. I've been there at least ten times over the past 15 years and absolutely love this restaurant. The closest local comparison would be Citronelle and I would suggest this is its equal. I've written at length about this (and several of the others) on Chowhound but most importantly, if you go to North 44, his signature dish is his filet mignon of tuna. I had this there and at the French Laundry within 24 hours about five or six years ago. North 44's was better. The Inn at Little Washington also does this; North 44 is still better. Susur Lee is a fantastic chef; his restaurant continues as one of the "hottest" and most difficult reservations in Toronto. You should go. Also, Toronto's Chinatown may be equal to San Francisco's or even Vancouver's. Don't overlook this. There is a fish and chips place in Welland, Ontario whose name I forget. But Toronto Life, the Toronoto Globe and all of the Buffalo publications rave about it. Its' fish and chips are the equal of England's best (in Blackpool). I haven't been in about five or six years but on my last visit it was extraordinary. Well worth going many miles out of your way for. There's nothing like this within seven hundred miles of D. C. or this side of the Atlantic. They even wrap their "to go" orders in newspapers which few places still do in the U. K.
Any recent updates? Going to be in Toronto soon and free for lunch on a Friday and Saturday and would like some input on what I should try and get to. Fast forward and the whole family is going in August, plus we have two honorary aunts meeting us there. We want to visit a winery in Niagara on the Lake--Inniskillin seems logical since we like ice wines but are open to suggestions. We only have time for one winery. Ideas for a picnic-type lunch in or around NOTL--could also be the winery. Veg friendly is good, toddler friendly better. Any other Stratford junkies out there? We are feeling the constraints of the exchange rate this year so ideas for dining on less would be good. There won't be 4 trips to the Church this year! I had dinner at the Jamie Kennedy Wine Bar Monday night, in Toronto for one evening for a business meeting the next morning. With the exception of the wine (very interesting list by the glass) and dessert I can't say I really got this place. My peameal bacon sandwich with sheep's milk cheddar sounded intriguing, but it turned out to be basically a Cuban sandwich/panini if you will -- roasted pork loin and a sheep's milk cheese whose flavor didn't really come through, pressed between two pieces of grilled bread. It was all somewhat overwhelmed by a strong horseradish mustard. My crispy skinned pickerel with toasted bread salad was just a mess - the skin wasn't crisp in the slightest, and the toasted bread salad turned out to be a handful of oily croutons. I was really disappointed with this. Most bizarre was a dish I didn't even have. Every once in a while throughout the meal I noticed a strong, unpleasant burning smell around me. My neighbor at the bar remarked the same thing. It turned out that an appetizer of some dips and bread was served with a burning rosemary sprig. I mean really burning. The couple to my left ordered it and I saw their plate, with this rosemary sprig on fire. I don't know who ever got the idea that this smelled good. On the plus side, you'd probably pay a lot more for this in the States (three dishes, one full and one half glass of wine, for US$50 including tip) and the apple crumble tart with caramel sauce I ended the meal with was delicious. Central Toronto is a rather amazing collection of neighborhoods, each with distinct identities, but I'd have a hard time NOT running out to the northeastern inner suburb of Markham to pig out on xiao long bao. 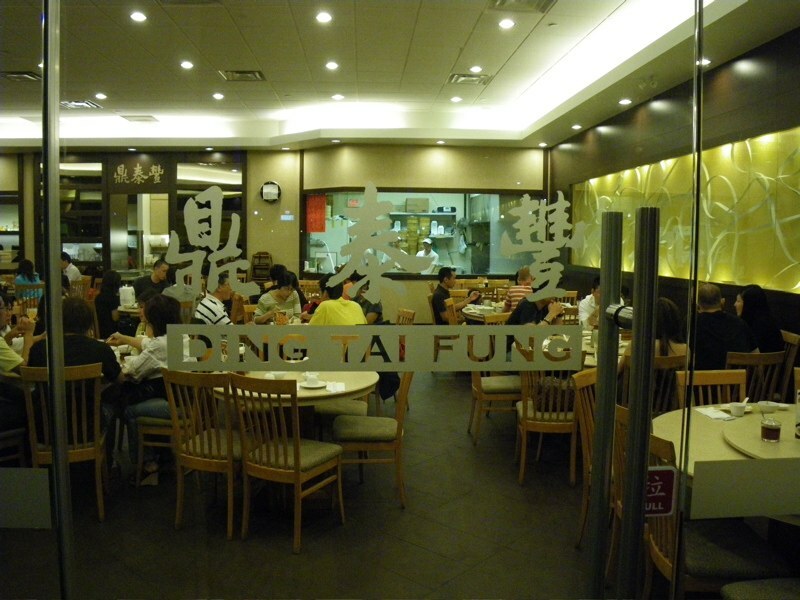 Highly recommended: Ding Tai Fung (3235 Hwy 7, Markham), a high-quality knockoff of the Taiwan-based Din Tai Fung chain. But don't let that put you off; the xlb are superb here. A review here. I have to point out that Toronto traffic is really awful. Don't plan on getting anywhere in a hurry. If you're on a splurge in town, the tasting menu at Lai Wah Heen, located in the Metropolitan Hotel (108 Chestnut St., Toronto) is arguably one of the fanciest Chinese meals to be had in North America, and certainly one of the most visually pleasing. But don't expect "contemporary Chinese" to push the envelope much. When I get around to transplanting hard drives back, I'll try to post some photos. You can see some of the dumpling-makers at work in the window at the rear of the room. 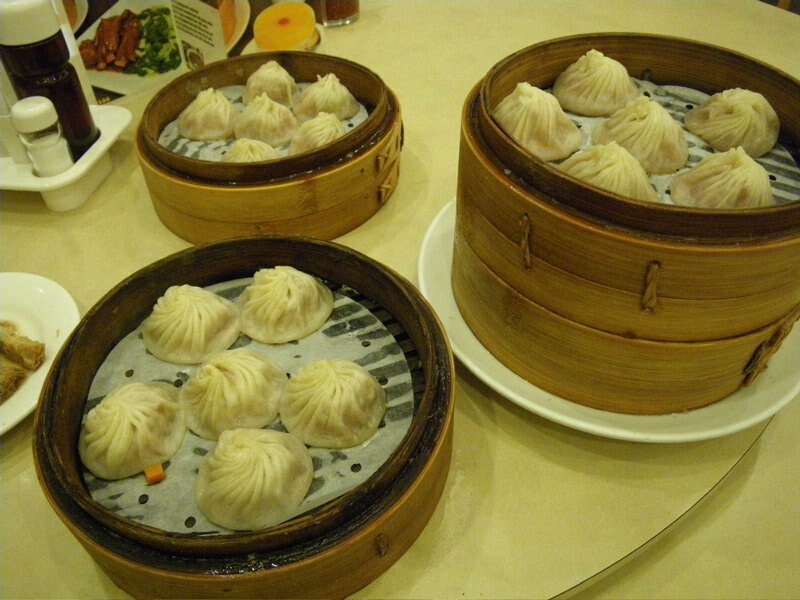 Several versions of xiao long bao (#13) available...we really liked the seafood varieties. 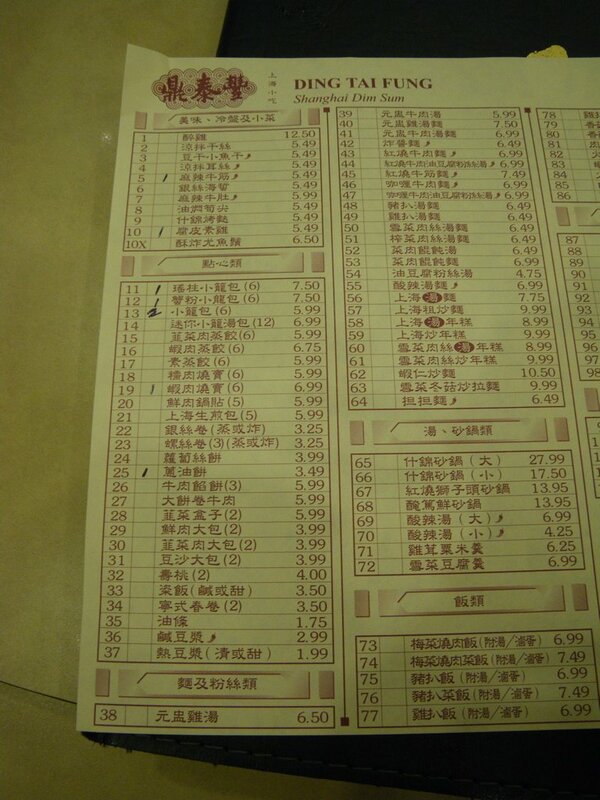 Don't worry, there's an English menu that parallels this order sheet. Unlike most of the versions I've tried, they cube the tendon here instead of slicing it. Niagara-on-the-Lake has a pretty obvious tourist district in the historic town center. Of foodie interest, there's a gourmet cheese shop about a block off the main strip, but Ontario prices on cheese were staggering (we noticed this across the province) with most pushing the $25-30/lb range, so we punted. However, it's worth stopping in at Greaves Jams & Marmalades (55 Queen St.), a local producer of English-style preserves which had their production facility directly above the shop from 1927 until two decades ago. They're still made in town, albeit at a new facility away from the historic district. 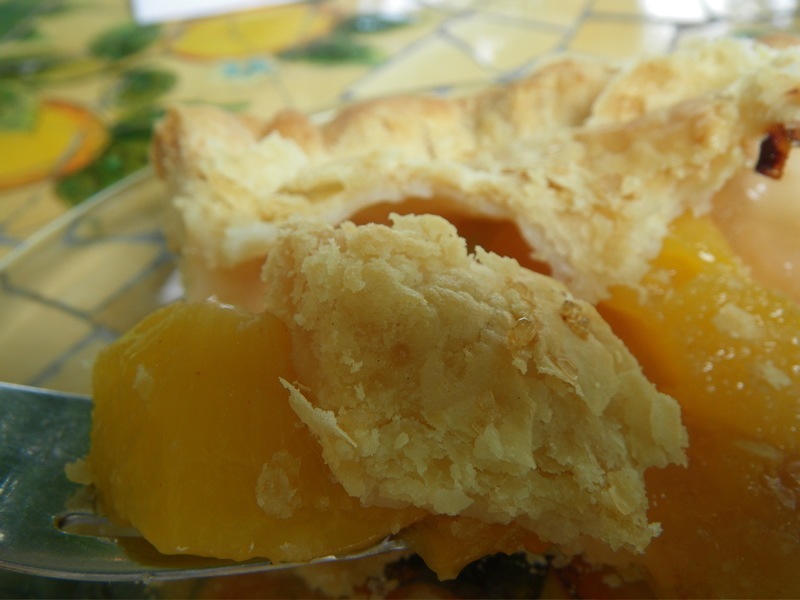 We didn't get a lot of recommendations for places to eat from the folks working at the wineries on Niagara-on-the-Lake, but a couple of them recommended The Pie Plate (1516 Niagara Stone Rd., Virgil ON), located on the road between NotL and the highway, for fresh-baked savories and fruit pies. The other common recc was the local watering-hole-and-grill on the other side of the intersection, which we dismissed out of hand. But thank goodness for The Pie Plate. We took seats outside on the patio, next to the very bushy cherry tomato plants, and were encouraged that periodically a cook would emerge from the kitchen to harvest a handful or two off the vine. Any recs for actually eating in the Niagara Falls area (we're staying at the Fallsview Marriott). Will need probably 2 lunches and 1 dinner and are willing to try stuff on the NY or the ON sides. I can't remember having anything decent in the Falls area. Ever. 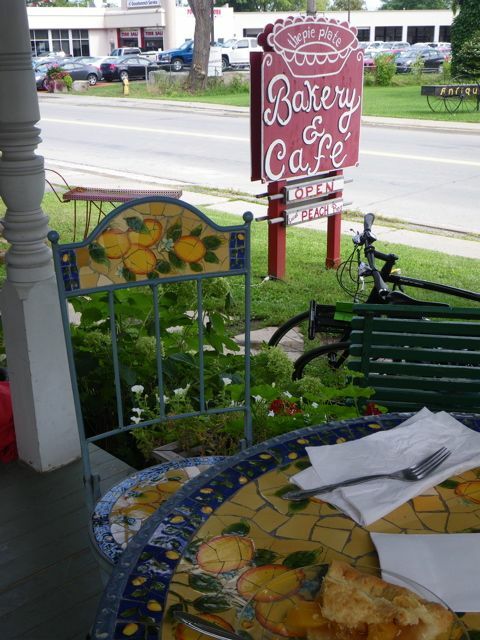 The drive over to NOTL isn't bad and the food is better there. Zee's Grill was very nice. We did a family trip there last summer. It's chain city on the CA side, and the NY side is the Park, so it's Park food. (though the actual restaurant in the Park side is decent as far as park restaurants go). On the CA side, once you get off the main drag, there are a few family-owned places, but I didn't find anything specific worth mentioning. Not too far from the NY side is Buffalo, and a trip to the historic Anchor Bar, home of the original Buffalo wing, is definitely worth it. Anchor Bar is about a 30 minute ride from the Falls. For something closer, if you want good pizza try Vincenzo's (in shape/style it reminds me of a much better tasting Ledo's) which is in Lewiston (a few miles down the road from the Falls). Also, DiCamillo's is a bakery (I ate at the Lewiston one, but I believe there is one right in Niagara Falls) that is worth stopping in. Their "pizza bread" and pizza are excellent. Thanks! We're actually staying in Buffalo on Saturday night (WAY cheaper) and then spending two nights at the actual falls, so we're planning to hit up Anchor for sure. One night we're eating at the hotel's fallsview restaurant, but might have to head up to NOTL for the second night. We ate here early last Sunday. The xiao long bao were pretty good -- almost certainly better than anything I've had in the D.C. area -- but still a step below the ones at Din Tai Fung. 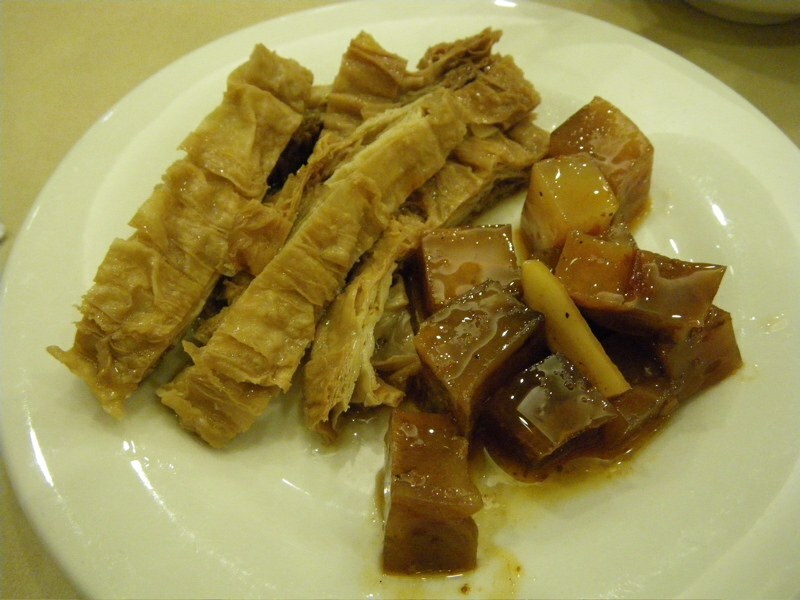 The beef tendon appetizer was cut into cubes as opposed to thin slices. My only criticism is that the xiao long tang bao (the one that's 6.99 on the menu) did not come with a bowl of broth/soup like Din Tai Fung serves in Beijing. I should have spoken up, but we were in a hurry to make the Blue Jays/Red Sox game. Our best meal of the weekend was at Black Hoof in the Portugal Village neighborhood. Top-notch charcuterie plate for $25, with the foie gras parfait and duck proscuitto as the highlights. Great smoky sweetbreads with chanterelles and fresh peas too. Loved the 80s iPod mix that was playing in the background. The kitchen is tiny, with only one apartment-sized stove right next to the bar. Quite impressive, really. Props to Dufflet Pastries as well. Their devil's food cupcake with strawberry frosting was better than anything at Georgetown Cupcake (our favorite in this area). With all the meat consumed in T.O., we passed on wings/sandwiches while driving through Buffalo and had healthy prepared foods from Wegman's instead. If you're in the King St area, Beer Bistro is perfectly serviceable. I had the steak frites tonight along with a couple of local beers (Durham Hop Addict and Junction Craft Conductors Ale). The steak was served with tarragon butter, sauteed mushrooms, fried onions and fries cooked in beef and duck fat. The steak was cooked as I asked (medium rare) and had a nice flavor and texture, the frites were nice and meaty (I'm really not a fan of shoestring fries) and cooked so they were just crisp on the outside and soft on the inside. The mushrooms gave a nice accent. Overall the beer selection was pretty decent, focusing on local beers and belgians (at least on top) with a large bottle selection as well. Overall, not something I'd go (far) out of my way for but quite serviceable. I wouldn't hesitate to come back if I were in downtown Toronto again. It strikes me that most of the brewpubs I’ve been to are either serious about their beer, serious about their food program, or neither. Rare is the brew-bird that does both well. Take even the venerable Russian River Brewery: the beers are legendary, but the food – mostly doughy pizzas – is an afterthought. This is the reason I was skeptical about Bellwoods Brewery, a skepticism that proved completely unfounded. Bellwoods, which likely derives its name from nearby Trinity-Bellwoods Park, is on a strip of Ossington between Queen and Dundas that is currently getting a lot of press for its impressive density of quality restaurants. The source of this abundance appears to have its roots in local regulatory law-making. In particular, a moratorium on liquor licenses (welcome to Canada), allowed for new regulations that effectively drove out any potential nightclubs, but preserved the restaurants and smaller pubs and bars. The beers here are serious. Eschewing conventional wisdom, the owners and brewmasters cast a wide net, tackling a range of styles (with a focus on Belgium) tied together primarily by the simple fact that they were simply interested in them. Chef Guy Rawlings (who they will lose in June) is in charge of the menu, which dwells on beer-friendly small bites. It is quite successful. The space is fantastic. A former garage with one side completely open to the outside, the space practically beckons thirsty passers-by in. The lower level is occupied by a smart-looking bar and the brewing area supplied with several fermenters and old pinot barrels (for a forthcoming barrel aged creation), while the upstairs contains a few tables and a counter that overlooks the bar and brewery. My girlfriend and I stopped by on a warm Wednesday night in May. It took a while to be greeted because there seemed to only be two front-of-house staffers working a nearly-packed house. But the fellow who did greet us was pleasant, giving us a choice of a table upstairs or a seat at the aforementioned upstairs counter overlooking the brewery. Although there was no one working the equipment at that time, I have an interest in beer-making and convinced my girlfriend that we wanted those seats. I started with their Farmhouse Saison, which I found spicy and yeasty, but eminently drinkable. I could have put back several of these if I did not want to try others. We also tried their Toil and Trouble Dubbel, another of the Beligan style but not as much of an easy-sipper. Working backwards through the beer list, I ended with the Common Pale Ale, which I only wish was indicative of a common pale ale. It was the lightest of the beers I had that night, but not without its intricacies, notably a grainy finish. Overall, the beer here is of an extremely high quality and I expect they will be raking in the awards soon. Rawlings’ menu is meant to compliment the beers. It’s divided into snacks, sticks and plates, of which I believe the sticks represent the best value and quality. While several of the snacks sounded terrific (pork rinds with house-made malt vinegar, $3 for a small portion, $6 for a large), we were a bit underwhelmed by the quantity. The small portion of pork rinds was just that, maybe five or six diminutive rinds. Lima beans ($4) were also exceedingly sparse, and the quick fry in paprika and oil seemed like something anyone could do at home. On the other hand, I was extremely impressed by the stick of duck hearts served with charred jalapeno oil ($4), the smokiness of the oil helping to accent the meatiness of the hearts (much in the tradition of a great barbeque). 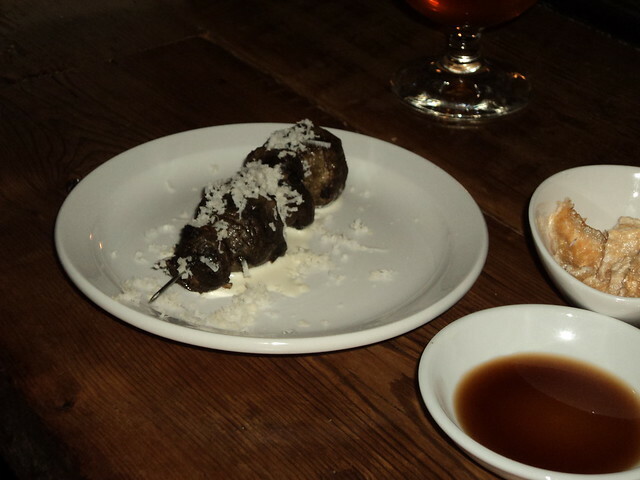 We also enjoyed a stick of sunchokes with a barely-there horseradish cream. Finally, we had a plate of crispy pork, pea shoots, peanuts soaked in vinegar, and grainy mustard sauce ($9). I wasn’t floored by this dish, but the peanuts are a terrific idea, providing much needed blasts of vinegar throughout a relatively fatty dish. Despite being short handed, I have to note that the service was excellent. Our server was around when we needed him and was happy to describe the intricacies of the menu, a matter on which he was clearly and expert. After things cooled down, we shared beer stories, and I got the impression it was more than a job for him and that he was clearly a beer geek. In short, Bellwoods in an exceedingly well thought-out brewpub in a town that could really use one. If you are in Toronto, I would seek this out as a unique experience in a not-very-touristy part of town. 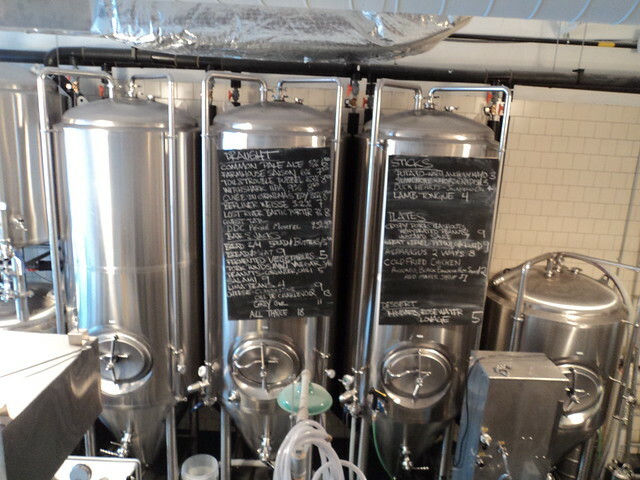 This write-up is a product of a single experience during the brewpub’s first month. I wouldn’t treat it as a review as much as a description of a single data point. I'm very sad to report that Fifth Town Artisan Cheese Co (Picton, ON) halted production last month, supposedly temporarily, due to cashflow problems. The retail store continues to operate with the inventory in their cave, but the production staff have been laid off and the operation is struggling. The divorce of the co-owners, founding cheesemaker Petra Kassun-Mutch and her husband Shawn Cooper, precipitated Petra's departure last fall as president of the operation. She remains a force in the Canadian artisanal cheese scene, as a founding member of the Ontario Cheese Society, and interim chair of the new Canadian Cheese Society. 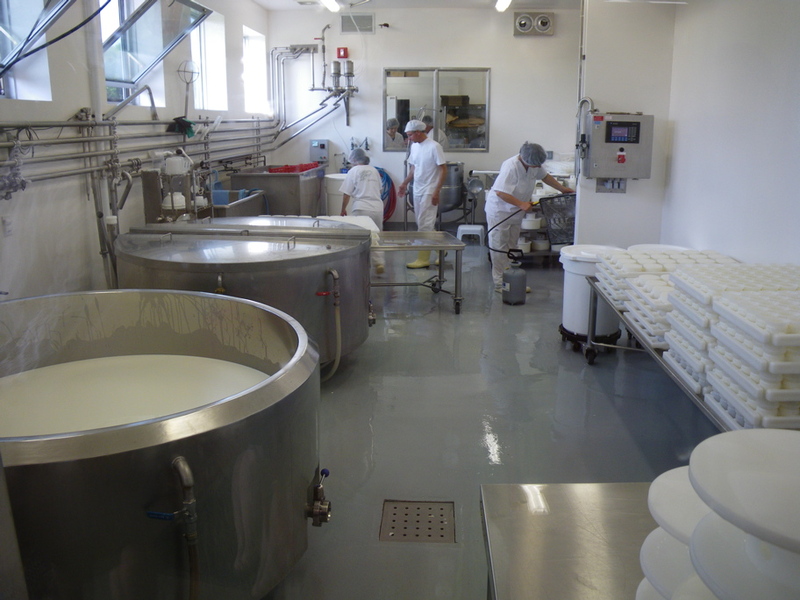 Shame on me for never getting around to posting a proper write-up of this place, the most extraordinary cheesemaking operation in North America. 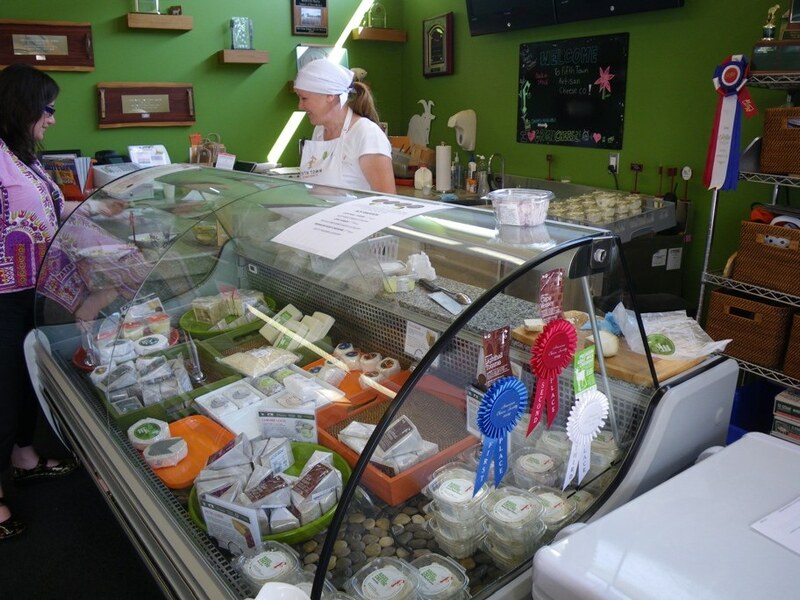 Noted for their award-winning goat and sheep cheeses, Fifth Town operated out of a purpose-built facility in which spent whey was run through a series of constructed biomarshes in order to minimize its environmental impact. The buildings were constructed out of advanced recycled building materials, and were super-efficient. 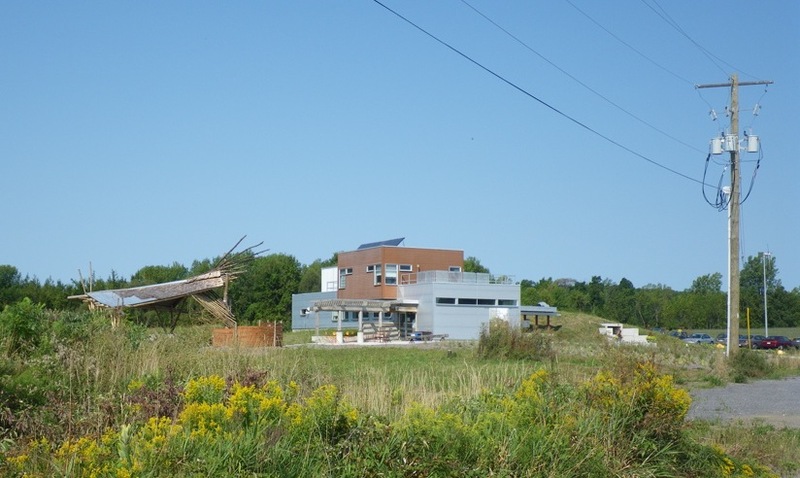 It was/is the only LEED Platinum-certified dairy in the world, and the only LEED Platinum factory of any type in Canada. In addition, their business model was designed to keep the vast majority (93%) of the company's spending in the local community. I've attached a couple of photos from when I toured their facility in 2009. It really is a showplace; they went to the extraordinary measure of obtaining laminated polymer panels, normally found as bullet-resistant applications, for all the windows (including the huge viewing windows) in the cheesemaking room where glass is prohibited by food safety regulations. If you're in Toronto this summer, consider stopping by this little gem in the cottage region of PEC an hour or two to the east. 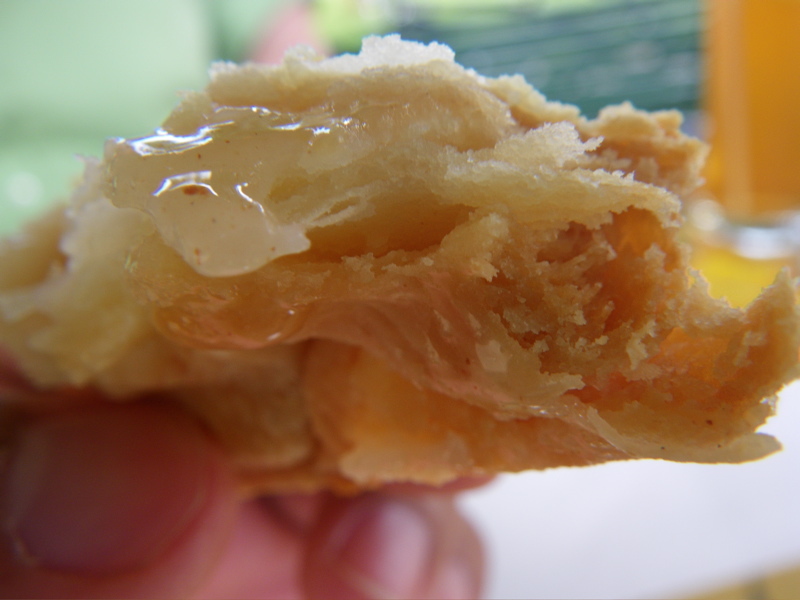 If you believe the internet, Caplanksy’s isn’t a story about quality; it’s all about variance. It’s not the tale I expected when I moved to Toronto. In fact, when I found out I was moving to Toronto, Caplansky’s was the restaurant I was most excited about trying. A couple of years ago I got obsessed with making my own pastrami, daydreams of opening my own deli dancing through my head. And when it comes to smoking and curing meat, Caplanksy is at the head of the class. Zane Caplansky gained a great deal of notoriety a while back for being on the vanguard of a deli movement: quality-conscious, artisanally-minded young deli men bringing the art form back from the brink. I read about him and Nick Zukin of Portland’s (of course) Kenny and Zuke’s in a Gourmet article by David Sax, and later in Sax’s novel, Save the Deli. Trepidations about opening up a small business, and really, fear of the unknown got in the way of my cured meat dreams. The story seems to have changed at Caplansky’s as well. Chowhound currently holds pages and pages of complaints about Mr. Caplansky’s deli. But it isn’t that it’s not good – it’s that it’s not consistent. Apparently, what you get at Capalansky’s varies wildly night to night, to the point that some of sworn off it completely. Some even say you should go in and ask for a sample prior to ordering, and if it’s not up to snuff get a tongue sandwich instead..
What is indisputable about Caplansky is that he knows deli. 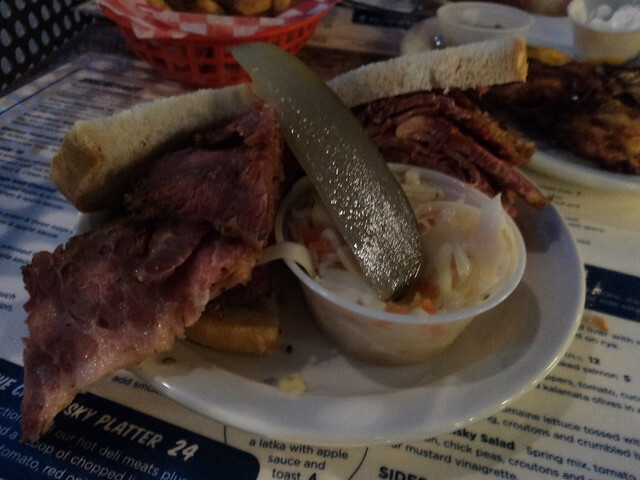 The smoked meat is his own recipe, aggressively spiced, and when it’s good, it’s a rival to Schwartz’s in Montreal. I went on a Friday night in May, and came away very satisfied. Like I said, there is a good chance it was just luck, but I can’t argue with my own experience. My date and I both ordered the sandwich combo (a sandwich, coleslaw, pickle and fries/soup/salad for $13 – a decent deal for this town) with smoked meat, hers medium, mine fatty. Turns out, fatty was the way to go. Unlike Schwartz’s (and again, this may have just been the (bad) luck of the draw), where the fatty smoked meat is more-or-less pure fat, the fatty here was the perfect balance of fatty and lean, more what I would call a medium. My date’s medium was actually lean, and a bit try to tell the truth. But the rye was fresh, and the house-made mustard hot (we bought some to take home, $5 and worth it), and we both left satisfied. The combo comes with a side, my date’s order of fries being plentiful, if not burnt in parts, and my matzoh ball soup clean tasting with a fluffy dumpling. I have no reason to doubt the various cautionary tales out there. But even if the average visit deviates a great deal from my experience, this is an accessible deli serving most of the traditional fare in a time when such a restaurant is hard to find. Noka presents itself as a newcomer in the third category, but from my one experience, it seems closer to a more expensive version of the first. From the “Signature Appetizer” section (the part of the menu that drives my hypothesis that Noka is trying to be something more), we tried the Chili Tuna ($8.95). 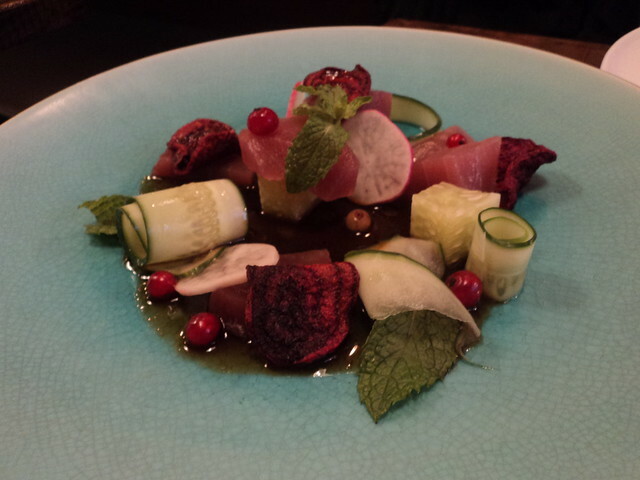 This dish is described as “tuna, diakon, cucumber, fresh mint, beet, chili sauce.” At the end of the day, this is just a misconceived dish. It’s more or less a salad of those ingredients, the beets actually being beet chips. That’s not to say there’s anything wrong with the combination of these ingredients, but more that not one was heightened by that particular combination. It didn’t help that the fish was past its prime, with a fishy taste and mushy texture. Rounding out the meal, we opted for maki combo B ($13.95), which is a roll each of spicy salmon, tuna and escolar along with miso soup and salad. This was a bit of a you get what you asked for situation, but the fish was sauced to hell and for the life of me I couldn’t tell the difference between the tuna and escolar. 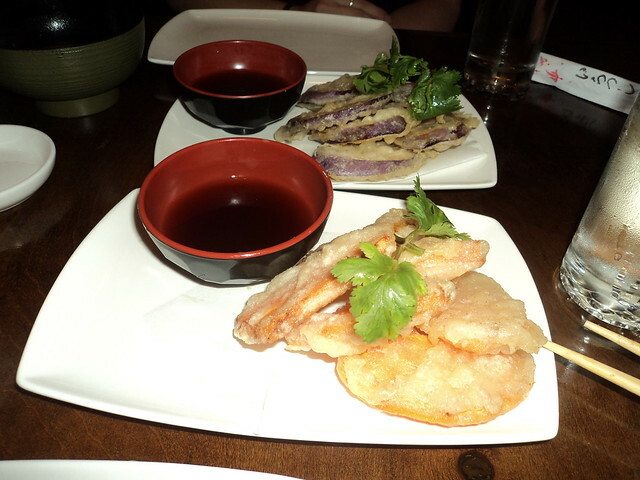 We also ordered an eggplant tempura and a sweet potato tempura, the two stars of the show and the sign of a kitchen that knows its way around a deep fryer. Maybe it’s not a good omen that a restaurant’s fry work was its best effort, but perhaps worth knowing. Overall, Noka seems to want to join the likes of Sushi Couture on Bloor’s sushi scene, but based on my experience, it simply doesn’t weigh up. Perpend: Noka’s website links to two food blogs (TO Bites & Food Junkie Chronicles) that had considerably better experiences, the latter of which did a much better job at sampling the menu. So what is the most "Toronto" thing to do/eat? I know it's a very metropolitan and cultural city with lots of ethnic food offerings. I also know a bunch of NY places have just opened outposts- I don't really feel like eating momofuku in Canada when it's just a few hours up the road. Soo.. poutine and kids in the hall marathon? I can help with this. do you have any geographic specifications within the city?